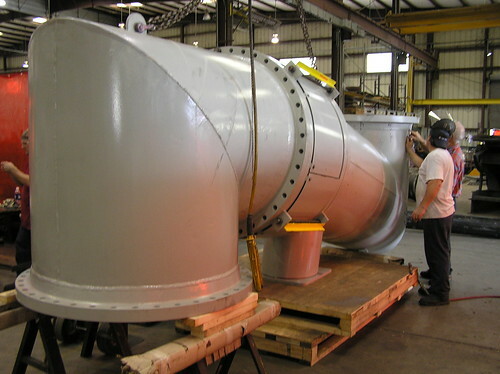 This single expansion joint assembly was fabricated with a single-ply 304 stainless steel bellows, and carbon steel pipe, miter bends, and limit rods. It measured 12 feet 2 inches from the center to center of the elbows. These bellows were designed with a low spring rate to meet the allowable forces and movements on the compressor inlet nozzle. All welds were air tested and spot x-rayed to assure quality and performance. 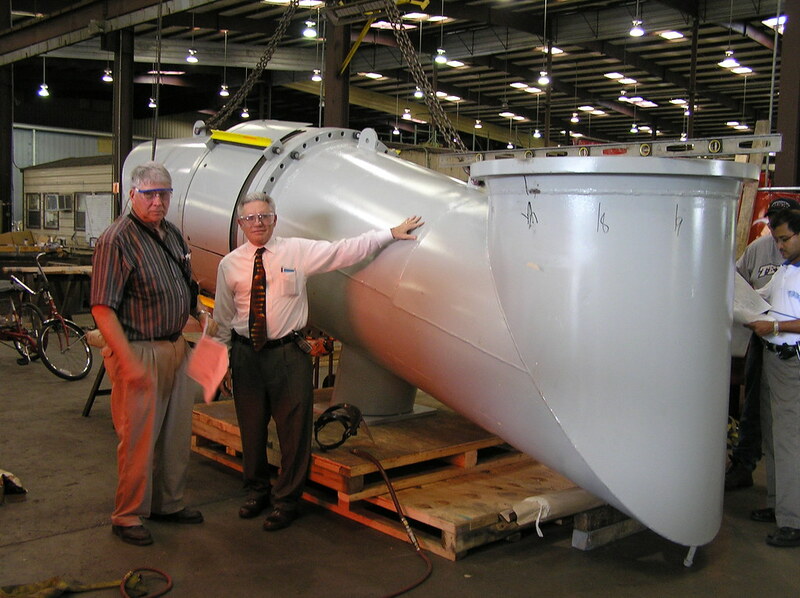 This unit was completed in 3 weeks to meet the customer’s construction schedule.